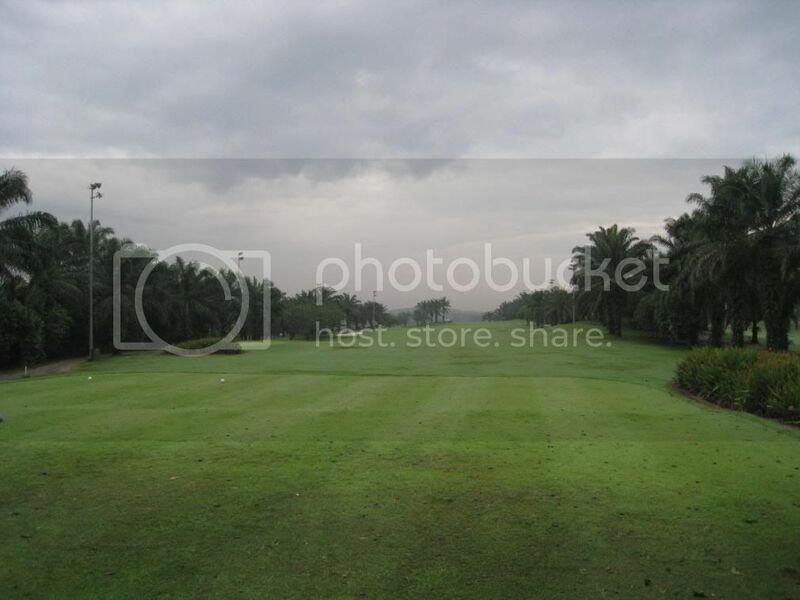 This is a little known course located in Bukit Kemuning, often overshadowed by its more illustrious brother, Kota Permai. In fact, if it wasn’t listed in the AGN clubs, I wouldn’t know of its existence. I’ve played in Kota Permai before (the course they have the Volvo Masters for the Asian PGA tour), but it was just too darn expensive to try out a whacky swing. With a whole day free, we decided to head towards Bukit Kemuning Golf and Country Resort, with little expectations on how it would be. We have no idea that Kemuning was so close. I mean it wasn’t so close that you could cycle over from KL or PJ, but we were settling in for a long drive, and before you know it, bam, you’re at the club. We’ve concluded that all clubs that are located near the highways are easy to access, but there are some that requires additional traveling inside, like Bangi and Kajang Hills; and some that requires a whole lot of driving before we can reach it, like Bukit Unggul. The best way is to use the Kesas Highway to Kemuning, via LDP. Instead of turning at the Kemuning interchange, go further and turn off at Bukit Rimau. First roundabout, take a 12 and the second roundabout take a 3 and voila you’re there. In fact, the trip to return home only took us 17 minutes flat. We paid a reasonable RM50 ++ on a weekday, using out AGN cards. It does shoot up over the weekend to more than a 100 RM, and we were a little surprised at the pricing package. 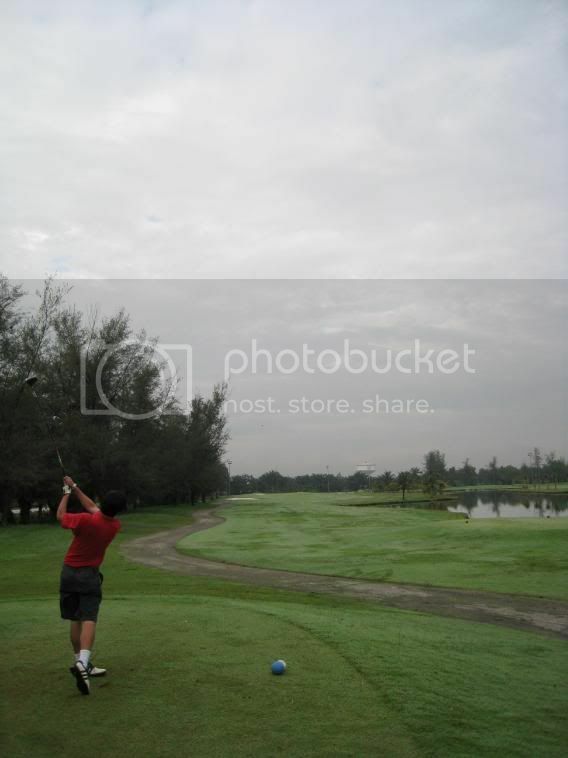 Honestly, we expected something like Kundang Lakes or something, but instead we got quite a nice course, and with the condition and maintenance, the price was fair, unlike the ridiculous sum of money we have to fork out to play in Berjaya Hills. Honestly, we thought Bukit Kemuning was a poor pretender to Kota Permai. You usually have these so called inferiority complex courses; whenever you find a course next to a big name, they tend to be really crappy: case in point, Kundang Lakes: Crap; Rahman Putra: Good. Perangsang: Crap; Templers Park: Good. So there was a pleasant surprise when we drove up to the front of the club house and found it quite classy. Any clubhouse with a working fountain at the front is classy to us. The surprise extended over to the easy registration, the clean lockers and once on the first tee, faced with a large tract of land for a fairway, we knew that this course would be fun to play on. Here’s the golden rule. If there’s anything wrong with the course, or if it is in maintenance, you need to inform the customer. I mean it’s like renting a car and not telling them their indicator isn’t working. Or the front tyre is punctured, or you have a leak in the carburetor. I mean, wouldn’t the customer eventually find out? What’s the point of hiding? No information about temporary greens was provided to us. That’s a minus. Cramming 5 – 6 golf bags into a single cart like Tiara Melaka is not only stupid, it’s dangerous for the clubs and the driver. Come on, don’t be so darn lazy and make multiple trips to get our bags. Not taking out our bags for us shows us that this looks like a first class club with third class service. First impressions go a long way. After the bad service encounter, we were pretty much in a ghoulish mood as we stepped onto the first tee. And then we smiled. Nothing is more welcoming than a huge fairway looking at you in your first tee shot. Well, waking up to French toast breakfast in bed is a close second. But broad fairways are first. Especially on the first tee off of the day. Predictably, I started the day with a big push into the next fairway, but this wasn’t Monterez or Berjaya Hills, so a second shot pitching wedge over the palm trees found me near the green for a bogey start. 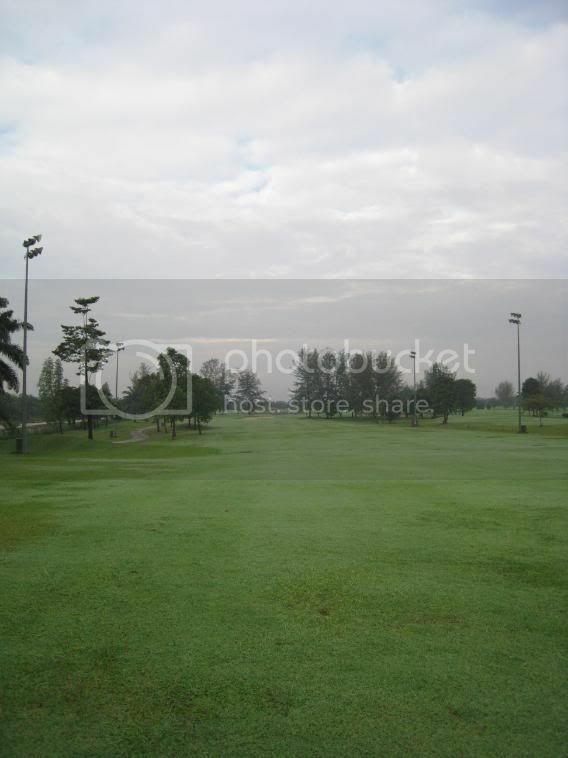 We played in a slight drizzle but the fairways held up quite well, hardly any casual water. But mainly we liked the whole open concept golf course. It feels a lot better than courses that narrows everything down and have OB stakes all over the place; as if golf wasn’t so hard already. This course plays more like Palm Garden without the looks, in direct opposition to narrow courses that we have reviewed; aptly named the Terrible Trio: Nilai, Nameless Course in Seremban 3 and Monterez. I hate temp greens. In Tasik Puteri, we were given two holes with temporary greens but at least the club informed us at the registration. In Bukit Kemuning, they didn’t even bother telling us. They just sent us on our way to the first and second tee where we were hit with temp greens, and on top of that, the 10th also had temporary greens. Eventhough I birdied the 10th, it was an asterix birdie, as a solid drive found me just 20 meters away from the ‘green’. 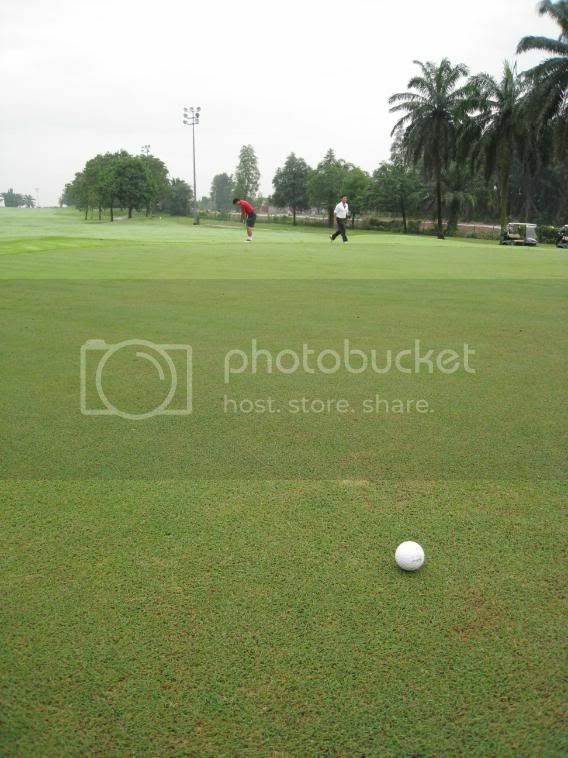 Obviously there is no roll on these greens. Even the real greens weren’t remarkable, but we were already put off by the three unannounced temporary greens, so obviously we are already biased against the greens. All the points this course got from the fairways, they offset it with their greens. Getting it into the rough isn’t punishable in this course. In fact, I had a lot of drives trickle out of the fairway to the rough and still managed to shoot regulation. There are a few holes bordered with OB but overall, it wasn’t challenging enough in a lot of holes where our drives couldn’t find the fairway. The sand was reasonably maintained but due to the rain, everything was typically hard packed. Charming. That would be how we would describe it. Of course, we had the best weather possible for golf. Slight drizzle in the morning and an absolutely fantastic weather after that. Breezy, wasn’t too humid, I don’t know what people do if they don’t play golf in this weather. It’s not a beautiful course, but the wide fairways and slight elevation makes it a course you want to walk on, it makes you look forward to the holes that are about to come. It’s something in between the boringness and wideness of Tuanku Jaafar; and the sheer prettiness of Palm Garden. A little of both. Memorable holes? The 10th forces you to hit a dogleg you can fly over the trees; and land less than 100 meters from the hole. Unfortunately, this hole was screwed up with the darn temporary greens. Most of the holes sport runway fairways, named such that a 747 can land with space to spare. For some mystical reason, that small little white ball can’t seem to find it!! I got a feeling the course plays really hot if we get caught in the sun, something like Gunung Raya or the Nameless course in Seremban. After slogging through a series of misses in our golf tour, like Monterez, Nilai and Berjaya, coming back to open areas like Bukit Kemuning was like water in the desert. Don’t get me wrong, Bukit Kemuning isn’t superb or anything; there are a lot of things that could be wrong with the course, but we just caught it on a good weather day. The greens took away a bit of fun, but overall, any golfer of any level would find this course fun. It’s not sadistic, realizing that weekend hackers are not very comfortable playing championship material course; so it sort of dials down the hazards and the toughness. Don’t you love courses that condescends you? It’s a course, when done, we all had something to talk about. 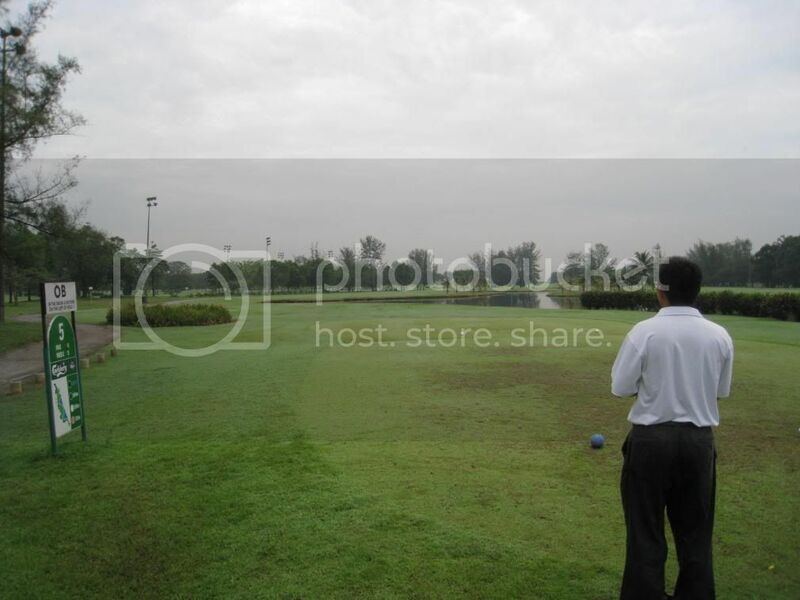 Different levels of golfers can recall one or two or more memorable shots that we managed to pull off. This is why I think golfers are generally delusional and optimistic. Both characteristics go together. Delusion in their own skills and how they execute shots; and optimistic when the shot is NOT executed, that it would definitely be, in the next attempt. With the wide fairways and generous rough, and the course playing shorter due to the temp greens, Bukit Kemuning is definitely a course we want to come back again for another visit. 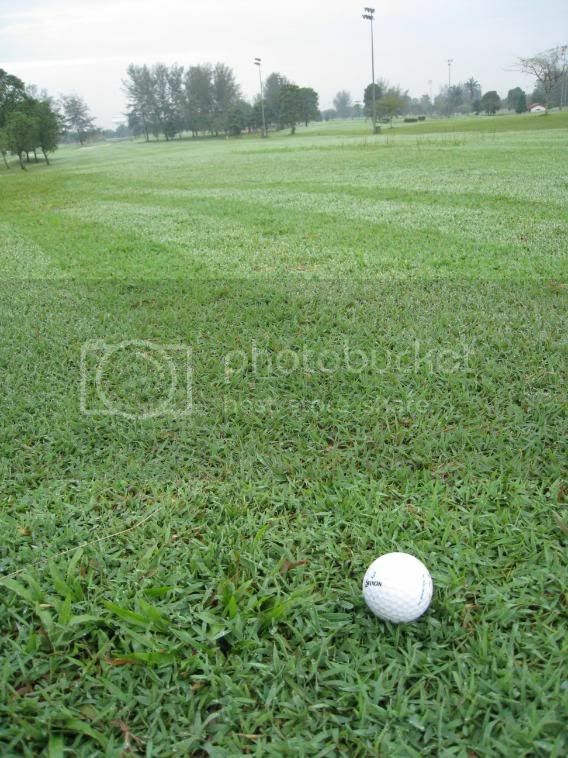 The good: Generous and well maintained fairways; easy accessibility, near to highway; course that doesn’t beat down the golfers too much; caters to golfers of all levels; reasonable pricing and aesthetics make it a course to return to. The bad: Bad bad management doesn’t inform us of the temp greens; unchallenging rough; terrain is flat and mainly the same style; bad service, bad handling of our golf sets! The skinny: 23 of 40 divots (57.5%). Recommended course to all levels. 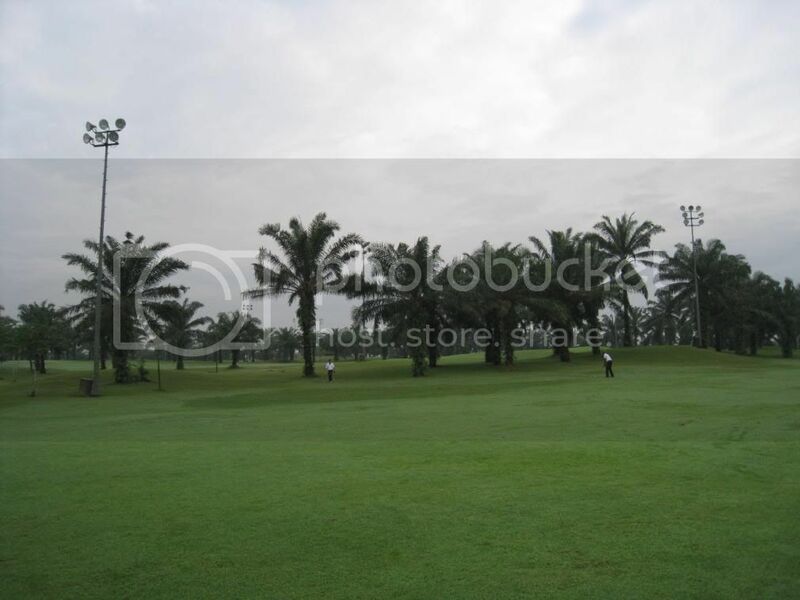 It plays easier than most courses, Bangi included, because of the flat terrain and vast fairways. Easy drive will definitely put you in a good mood before and after the game.